You are here: Home / Blog Entries / Paramedic vs Nurse: Which Career is Best? It’s one of the bigger questions young professionals ask themselves: paramedic vs nurse. Which path in the world of emergency services and medicine should I pursue—and why? It’s an interesting question, especially because both field share similarities and yet are strikingly different in a variety of areas. Both paramedics and nurses are on the front lines of patient care: paramedics as the very first line of defense for a patient in an emergency medical situation. Nurses are the medical professional with whom the patient interacts with the most on a daily basis if the medical problem requires hospital admission. Both fields require the ability to remain calm in a high-pressure situation, both professions are characterized by employees who are able to quickly analyze a symptom or a condition and interpret the signs and symptoms. Both professions work within a professional framework that relies on the skills of others. So what’s best for you? That depends. 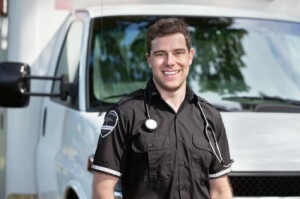 This article will help you evaluate the two fields, paramedic versus nurse, to determine which is the right one for you. Both paramedics and nurses have different levels of training. A significant difference in training relates to the fact that nursing takes place in the hospital, while emergency medical care takes place on site at the emergency. This might seem obvious, but different levels of skill and knowledge are required for each. The nurse is not assessing the immediate crisis, as the paramedic must do, and the paramedic is not charged with providing follow-up care, of which the nurse is responsible. Their training reflects this significant difference. Both paramedics and nurses can decide to enroll in a four-year program to obtain a bachelor’s degree; a four-year degree is required if the goal is to become a registered nurse. However, there are training programs of shorter duration for both. Paramedics can obtain an associate’s degree; there are two-year and three-year nursing programs. A paramedic can even be certified after taking an eight month course; a licensed practical nurse or LPN has two years of training. The training for a nurse is more standardized than what’s provided for a paramedic because in order to earn a nursing degree, the candidate is required to have taken the required science classes before applying for nursing school in the first place. Nurses in nursing school are then required to study chemistry, anatomy, physiology, microbiology, nutrition, and psychology, in addition to their other nursing courses. During their training as student nurses, they rotate in the hospital’s pediatrics, maternity, surgery, and psychiatric departments. A paramedic also studies anatomy and physiology, as well as advanced life support for adults and infants, and trauma life support. The paramedic’s training ends sooner than does the nurse’s training. Nursing training has a broader focus than paramedic training, again in part because, as a pre-hospital health professional, a paramedic’s role is to get the patient to the skilled care that he or she needs. The average salary for a registered nurse is $81,000, which is significantly higher than the $45,000 average salary earned by a paramedic, although that salary is about 20% more than what an EMT earns. How are Paramedics and Nurses Alike and Different? Nurses are licensed, paramedics are certified. Nurses join professional associations, both national and international, while paramedics are more likely to receive support from their union. When in nursing school, nursing students learn subjects such as nutrition and pathophysiology because their version of patient care is long term, while the paramedic needs to master the pre-hospital knowledge that sends the patient off to the professionals on the next level. The paramedic’s interaction with the hospital staff is most likely to be with the emergency room nurse, although the paramedic does interact with the doctor by obtaining signatures as required by insurance companies. A nurse, unless he or she is already a paramedic, which is the case for many flight nurses, can’t intubate patients, but a paramedic can do this. A paramedic, unlike a nurse, can also perform a pericardial tap and a tracheotomy. The nurse works inside a hospital, while the paramedic is outdoors as well as inside while taking care of his patient. Both professions require physical and emotional stamina and the ability to deal with the unexpected. How are Nurses and Paramedics Regarded by the Public? Nursing is seen very favorable in many facets, especially when it comes to honesty and ethical standards. In fact, in a 2012 Gallup poll, nurses were rated higher than physicians and clergy in this exact instance. Yet nurses feel that the stereotypes of their profession are too often negative. The National Registry of Emergency Medical Technicians reports that, thanks to the popularity of television shows such as “Emergency,” “ER,” “Trauma,” and others, the image of paramedics is a favorable one. Is There Tension Between Paramedics and Nurses? Unfortunately, tension sometimes does exist between nurses and paramedics. Each field is centered on a different discipline; each professional is at home in his or her workplace, but would be uncomfortable if their scenes were switched. A paramedic does not have the training or skills to work on a nursing floor. A nurse is not trained to deliver an on-the-spot, instant diagnosis. The important factor in both fields is for each to recognize that health care is a team, with each member responsible for a unique function that contributes to the overall health and well-being of the patient, whether he or she is on a stretcher or in a hospital bed. Jobs in the health care field continue to grow, and as baby boomers age and move into retirement, it’s not all golf and Florida in the winters. The truth is that living longer also provides more time to become ill, which means that for both nurses and paramedics, employment in the health care field will remain steady. According to the Occupational Outlook Handbook of the U.S. Bureau of Labor Statistics, the need for nurses is projected to increase by 26% by 2020, with a need for 711,900 more nurses, or faster than average for all other professions. Not to be outdone, the need for paramedics is projected to grow by 33% by the year 2020, which is much faster than average for all occupations. We can hope that this won’t ignite more competition between the two fields, because the numbers prove that although some rack their brains over the paramedic vs. nurse career path decision, the truth is that if you love helping people and enjoy being a service to your community, you can’t go wrong either way. Need to know more information? Please make sure to visit our paramedic training homepage for more vital information. 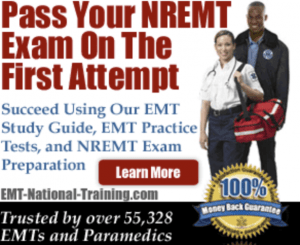 In this article, you’ll discover everything you must know when it comes to EMT salary in Minnesota.